(FARSH)) were formed after the declaration of independence in 1912. Today it consists of: the General Staff, the Albanian Land Force, the Albanian Air Force and the Albanian Naval Force. Protect the territorial integrity of the country. Always be present in areas incurring menace. Assist the population in case of natural and industrial disasters and warn the dangers of military and non military nature. Protect the constitutional order as it is determined by law. Participate in international operations in composition of multinational forces. On 4 December 1912 Albanian Prime Minister Ismail Qemali and his government formed the Albanian National Army. The Royal Albanian Army (Albanian language: Ushtria Mbretërore Shqiptare ) was the army of King Zogu from 1928 until 1939. Its commander-in-chief was King Zog; its commander General Xhemal Aranitasi; its Chief of Staff was General Gustav Mirdaic. The army was mainly financed by Italy. On 7 April 1939, Italian troops invaded the country, and captured it in six days. Like all other branches of the state, the military was subjugated to Communist Party control. All high-ranking military officers and most of the lower and middle ranks were members of the Communist Party—and had loyalties to it. The system was re-enforced by the establishment of Party cells within the military and extensive communist political education alongside soldiers’ military training, by the Commissars. To further increase its political control, the Albanian Communist Party enlarged the conscription system, thus enlisting in the Armed Forces personnel dedicated to the military career from the Albanian rural areas. During all these years, Sigurimi which was the Albanian secret service during that period and was formed upon the KGB structure, was responsible for the execution, the imprisonment and deportation of more than 600 Officers from the Armed Forces, by completely neutralizing the Armed Forces ability to start a coup d'état. Initially the communist purge concentrated on the military personnel graduated by the Western Military Academies (mainly from Italy 1927–1939), extended later on to the officers graduated in Soviet Union (after the Albanian abandon of the Warsaw Pact in 1961). As the communist regime collapsed in Albania during 1990, there was a real fear that the armed forces might intervene to halt the collapse of communism by force. In the event, the armed forces stood by as the regime of which they had been a part disintegrated. Albania sheltered many thousands of Kosovar refugees during the 1999 conflict, and allowed NATO to provide logistical assistance for Kosovo Force (KFOR) troops through Communications Zone West headquartered in Durrës. Albania was part of the International Stabilization Force (SFOR) serving in Bosnia (then EU mission ALTHEA), and Albanian peacekeepers are part of the International Security Assistance Force in Afghanistan, ISAF and the international stabilization force in Iraq. Albania has been a steadfast supporter of U.S. policy in Iraq, and one of only four nations to contribute troops to the combat phase of Operation Enduring Freedom. Increasing the military budget was one of the most important conditions for NATO integration. Military spending has generally been lower than 1.5% since 1996 only to peak in 2009 at 2% and fall again to 1.5%. The Albanian Navy performs mainly Coast Guard duties, and recently the Albanian parliament has approved some amendments to the articles of the actual Law on the Coast Guard in Albania, in order to improve the necessary legal framework due to efforts at European Union-NATO integration. Since February 2008, Albania participates officially in NATO's Operation Active Endeavor in the Mediterranean. Albania became a full member of the North Atlantic Treaty Organization on 1 April 2009. Albania hosts an international fair on security and defense called the Albanian Military Exhibition (ALMEX) where different security industries can present their products and services for the regional market. After several major re-equipment programs, in 2001 the Albanian Armed Forces launched a 10-year reform program to become technologically advanced and fully professional by 2011. The new armed forces consists of about 14,500 troops including 2,000 civilians, trained to NATO standards. The same radical reform is being implemented on surplus equipment, including airplanes, tanks, helicopters, artillery equipment, navy vessels, SALW and ammunition. Albania started an ambitious destruction program. However, Albania is still dealing with a huge amount of surplus and obsolete ammunition, a direct result of the country's long isolation and ethnic tensions in the area. The Albanian Ministry of Defense estimates such quantity up to 85,000 tons, but it is expected to increase up to 104,000 tons due to the on-going downsizing process of the AAF. On April 3, 2006, the final contract for the delivery of 12 Bölkow-Blom MBB BO-105 lightweight twin-engine multi-role helicopters to the Republic of Albania was signed in Tirana between the Albanian Ministry of Defense and Eurocopter Deutschland GmbH. According to the Albanian Government, six of the BO-105 helicopters are designated for the Albanian Air Brigade, four for the Ministry of Interior and the remaining two for the Albanian Ministry of Health. Albania has recently acquired 2 Eurocopter AS532 Cougar helicopters and has 3 more on order. Also, since 2008 three Damen Stan 4207 patrol vessels have been commissioned in the Navy and one more is expected on 2013. 2 of them have been constructed in Albania . Southeast European Brigade SEEBRIG – created in 1998 and consisting of Albania, Bulgaria, Croatia, the Republic of Macedonia, Greece, Italy, Slovenia, Romania, Turkey and the United States. NATO has already declared the force fully operational. NATO/PfP led Mission ISAF in Afghanistan under Italian and Turkish Command. ↑ "Merr detyrën kreu i ri i Forcave të Armatosura". top-channel.tv. http://top-channel.tv/artikull.php?id=216512. ↑ 5.0 5.1 "Albanian military expenditure as % of GDP". World Bank. http://www.google.com/publicdata/explore?ds=d5bncppjof8f9_&met_y=ms_mil_xpnd_gd_zs&idim=country:ALB&dl=en&hl=en&q=military+expenditure+of+albania#!ctype=l&strail=false&bcs=d&nselm=h&met_y=ms_mil_xpnd_gd_zs&scale_y=lin&ind_y=false&rdim=region&idim=country:ALB&ifdim=region&hl=en_US&dl=en&ind=false. ↑ "MEICO official website". http://www.meico.gov.al/. ↑ United States Department of State, Bureau of European and Eurasian Affairs/May 2007. ↑ Kondi, Luan (25 April 2010). "Forcat e Armatosura, struktura e re pa Komandën e Bashkuar". http://www.gazeta-shqip.com/aktualitet/0dee7528fb5fbc55b0625fb8b487de07.html. Retrieved 25 May 2013. ↑ "NATO Official website". 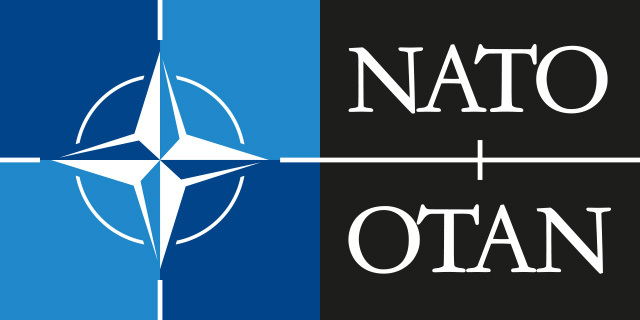 http://www.nato.int/cps/en/natolive/topics_48891.htm. Retrieved 25 May 2013. ↑ "ALMEX". Albanian Military Exhibition. http://www.albanianmilitaryexhibition.com/english/. ↑ Koci, Jonilda. "Albania to abolish conscription by 2010". SETimes. http://www.setimes.com/cocoon/setimes/xhtml/en_GB/features/setimes/features/2008/08/21/feature-03. Retrieved 4 September 2010. ↑ "Kosovo Force (KFOR) Troop contributions". NATO. 25 June 2012. http://www.nato.int/kfor/structur/nations/placemap/kfor_placemat.pdf. Retrieved 14 July 2012.